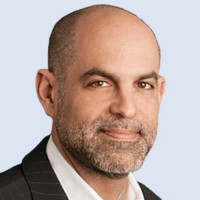 Robert Raben is a man on a mission – one that he has shared with the seventy or so people who have joined him in the unique public policy firm he created. Robert works to drive public policy in a humane and sensible direction; to bring diversity and equity to the boardrooms and think tanks and corporations of America; to create a fair judiciary and influence legislation to broaden civil rights, reform our criminal justice system, and improve education for all our children. And that’s just for starters. Robert does it all – sometimes by orchestrating big, sweeping victories; sometimes by taking small incremental steps. He is a leader with the intellect, capacity, and courage to make things happen. He serves his clients by helping them to identify what they need and how to achieve it in a complex environment where policy and politics are always in play, where legislation is susceptible to a thousand influences, and the media are hungry for new twists to their stories. Robert knows the Washington landscape and expertly navigates it with his clients to attract allies, defuse crises, anticipate challenges, effect change, and ultimately, achieve their goals. Robert insightfully articulates the big picture and drills down to identify its crucial parts. He wants his clients to develop their strategies before talking about tactics. Whether consulting with Google or the Fisheries Survival Fund in New Bedford, whether advising the Center for Reproductive Rights or the Black Church Center, he is unfailingly honest, direct, focused, and educated about every nuance of his clients’ reality — and the challenges they face as they go forward. He is as practiced and effective at working with conservative faith leaders as he is working with LGBTQ activists. He knows that unlikely coalitions and partners are often the answer to policy paralysis.